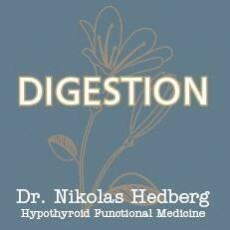 Dr. Michael Ruscio Interview - Dr. Nikolas Hedberg, D.C. 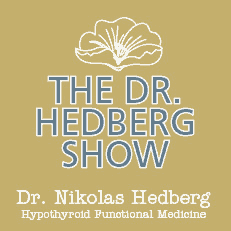 In this episode of The Dr. Hedberg Show, I interview Dr. Michael Ruscio and we discuss non-celiac gluten sensitivity, prebiotics, probiotics, the microbiome, SIBO, FODMAPs and much more. You can read the transcript below. 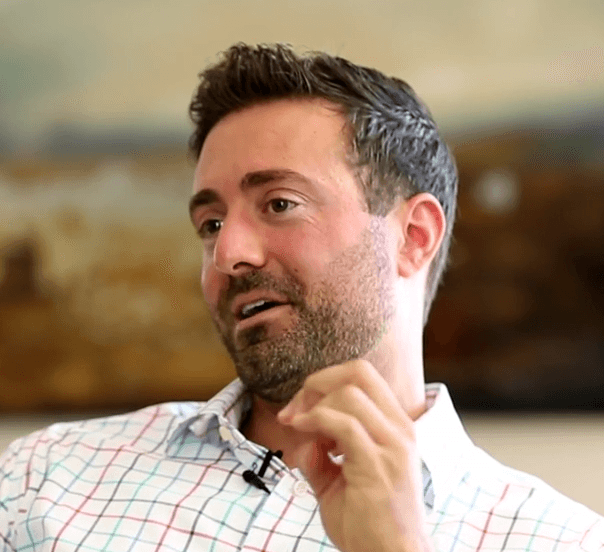 Michael Ruscio is a doctor, clinical researcher and best-selling author whose practical ideas on healing chronic illness have made him an influential voice in functional and alternative medicine. 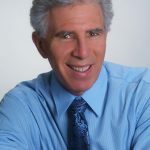 His work has been published in peer-reviewed medical journals and he speaks at integrative medical conferences across the globe. 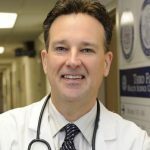 Dr. Ruscio also runs an influential website and podcast at DrRuscio.com, in addition to his clinical practice located in northern California. Dr. Hedberg: Okay. Well, welcome, everyone, to “The Dr. Hedberg Show.” This is Dr. Hedberg. And I’m excited today to have a good friend and colleague on Dr. Michael Ruscio. We’ve known each other for quite a long time I think since I launched “The Infection Connection” back in around 2012, and Dr. Ruscio has a lot of expertise in the gut and the thyroid and autoimmune disease, so we’ll be talking about some of that today. So, Dr. Ruscio, welcome to the show. Dr. Ruscio: Hey, thanks, for having me on. Dr. Hedberg: Great. Well, you and I have a lot in common in that most of what we do is driven by the literature and so why don’t we jump in and talk about some of the latest work on non-celiac gluten sensitivity. Because gluten is really one of those… it’s a big topic right now. A lot of people are avoiding gluten maybe unnecessarily. But why don’t you talk a little bit about the latest research on non-celiac gluten sensitivity? Dr. Ruscio: Sure. And you’re actually right. It’s an important issue because I’m sure that if… whether you’re a clinician listening to this or a patient or just a healthcare consumer you’ve likely heard of gluten-free dieting. You’ve probably known someone who’s gone gluten-free and reported that they felt better eating gluten-free. It’s certainly something that can help people. I think where we have to be careful is when we try to tell everyone that they have to eat like they have celiac disease. And it’s kind of this mistake of falling into extreme ways of thinking or dichotomous ways of thinking where it’s either all or none, 100% avoidance or total, you know, unrestricted gluten in the diet. And for some people, that’s absolutely true, for some people they have to be very diligent with gluten avoidance. But, and I guess one could ask the question, “Well, if it’s a potential problem, if gluten in the diet is a potential inflammatory or detrimental food then why not just avoid it?” Well, because that poses some psychological and psychosocial stressors on people. It can be difficult and I certainly see patients who come in afraid of food and it’s causing an impairment of their social life because of it. And so these are serious things that do have documented influences on your health. Fear, stress and social connectivity or lack thereof have been documented to have truly profound impacts on various measures of health. So this is important to have a nuanced idea of what we should be recommending for gluten avoidance. And there was a multicenter study performed in Italy, and a group of different physicians and gastroenterologists, essentially comprised a 60-point assessment for identifying and tracking those who had non-celiac gluten sensitivity and also correlating what other symptoms and conditions non-celiac gluten sensitivity was associated with. And just for the audience, you have celiac and then if you’re not diagnosable as celiac but you still seem to have a negative reaction to gluten then you can be labeled non-celiac gluten sensitivity. And what they found was very interesting. They found that 0.3% of the population that was studied and rigorously evaluated trying to identify non-celiac gluten sensitivity, looking at symptoms, physical exam, lab testing. They found that 3% of the over 12,000 patients who are assessed, those were a large sample size, were reported to have non-celiac gluten sensitivity. Now, people may say, “Well, in Italy, or in Europe, I’ve heard that there’s less glycophosphate use and there’s less actual gluten in some of the grains after processing. Doesn’t this differ in the United States?” Well, on the same paper, they cite research showing that in the United States, the estimates of non-celiac gluten sensitivity have ranged from point six to zero point six. So I’m sorry from 0.6% to 6%. So even in the U.S, it’s not something that seems to impact close to the majority but definitely some people. And so this is important because I’m not saying that non-celiac gluten sensitivity is some sort of fad. It’s clearly an issue and something that people should do some self-experimentation to see what their relationship with gluten should be. Some of the other researchers now are using the term gluten-reduced diet and I think this may be a better aim for people who notice they have some reaction to gluten but they’re not decimated by gluten. Some people may notice they don’t feel right for days after eating gluten. Other people may notice little to nothing in the way of symptoms. And so perhaps for those with mild symptoms they can practice a gluten-reduced diet. And one just final point here to piggyback on this, some people make the argument that gluten fuels this silent inflammatory process in the body with no symptomatic reaction potentially for weeks or years. And what was very interesting about this study, they found that over 90% of people who were found to have non-celiac gluten sensitivity had a discernible symptomatic reaction within 24 hours. So that’s actually very good news for us because it tells us that again the vast majority of people will have some type of symptomatic reaction after gluten reintroduction within 24 hours. Now, that reaction might be brain fog, it might be fatigue, it might be skin breakouts, it might be bloating. The types of symptoms can vary but any negative symptom that you see within 24 hours after gluten ingestion can tell you that you may have a problem with gluten. And if you don’t experience that symptomatic reaction, the likelihood that you’re doing damage to your body is fairly minimal. Dr. Hedberg: You know, I’m really glad you brought that up about Europe. It’s kind of an interesting thing that I’ve seen actually not just in practice but personally. A lot of patients will report that, you know, they go on vacation to Europe, and they eat gluten and they actually feel great the whole time. And I’m kinda the same way but it’s hard to differentiate the fact that you’re just so much more… you’re so much better at digestion and just everything across the board is working better when you’re on vacation. Dr. Hedberg: You know, parasympathetic nervous system is just gonna be running along just fine. Dr. Hedberg: So I just have to wonder is it… is there a real difference in the gluten content or the type of wheat and… or is it just the fact that you’re on vacation or is it a combination of both? What do you think on that? Dr. Ruscio: I’m really glad you said because I’ve wondered that same question. And what I can say is this, is that there’s a fair number of patients that come into my clinical practice, and when we have this discussion and they go and they reintroduce this gluten, there’s a fair number of people, I would say the majority of people, notice that they can have some gluten and there’s no sizable repercussion. Yes, there are…there is a small minority who had to be very careful, absolutely, but I think that it absolutely could be a byproduct of being on vacation and being less stressed. And I also think there’s a degree of placebo here. If people are expecting to have a negative reaction in the United States, and not in Europe, we know that for example in randomized control trials where we’re trying to isolate out the effect of the placebo influence, trials and IBS show on average a 45% placebo effect even when we’re trying to isolate out for it. So imagine if you’re knowingly operating under some kind of external placebo effect, we can infer that the influence of the placebo might be as high as perhaps 80%. So yeah, I think all these things likely play a role but definitely being less stressed, being on vacation, and then maybe having that positive expectation of being able to eat gluten in Europe probably all congeal together to allow people to eat more grains, you know. Dr. Hedberg: Right, because in the psychoneuroimmunology research it’s just so clear that our beliefs can change how our immune system responds. And we can actually create and use an affiliate response to certain foods even though we don’t have an actual clinical allergy to it, just if we believe it is strong enough. Dr. Ruscio: And that’s why I think it’s so important that as clinicians and nutritionists and health care providers that we use caution in the surrounding language because I think up until now the narrative on gluten has been way overzealous and to integrate it with fear. And I think it’s actually, you know, we’ve gotten to the point where we’ve made people aware of gluten as an issue but I think we have overshot the landing now and we’re making people unnecessarily afraid of gluten. And I think we need to pull back a little bit and give people some more balanced recommendations here. Dr. Hedberg: Right. And I hate to say this about my own profession but, you know, alternative medicine, functional medicine, it’s really done a lot of harm to a lot of people by creating just unnecessary fear and anxiety about not just food but a lot of other things. And then you combine that with the internet and people are just bombarded not only from their practitioners but from the internet with, like you said, unnecessarily worries about things that they probably shouldn’t be worrying about. Dr. Ruscio: Yeah, and I think that’s totally dead on. I’ve made that same criticism of the field and I think, hopefully here, if I’m looking at this in the most optimistic context, that we’re in a sense a younger field and we’re learning. And hopefully we’re making some mistakes, this would be one of them, and the field will collectively learn, “Okay, we were really idealistic about avoiding gluten. And now we’ve realized that in that over-idealistic goal we may have created an equal amount of harm by this kind of psycho neuro immunology impact.” And hopefully we’ll just embrace that and correct and move fine going forward because unfortunately there’s a lot of optimism here. And there’s one other point that just shot into my head from this particular study. They found that about 30% of these non-celiac gluten sensitivity cases actually had another issue that underlied their reactivity. Including small intestine bacterial overgrowth, FODMAP sensitivity, or just general inflammation in the intestinal tract. So if we factor that in we could even say that, “Boy, even 30% perhaps of people who have a reaction to gluten may not be doomed to have to avoid gluten forever.” But after cleaning up their gut they may be able to go back to eating some gluten, which is nice, so they don’t have to worry about avoidance which is which is challenging. So I think there’s a lot of hope here. Dr. Hedberg: Right, because there are definitely some patients who can eat gluten again even if they have an autoimmune disease. Now this, I don’t think that this is a lot but I’ve definitely had some patients who, you know, they’re feeling great, they’re 100% symptom-free, their gut is working well, all their markers on their tests look great. And then I’ll say, you know, it’s… “Give it a try and just see how you feel.” And, you know, sometimes they do fine with it. Sometimes having, you know, some sourdough bread once in a while is just fine and they’re gut deals with it, their immune system metabolizes it and they’re okay. What is your approach when someone is doing really well and they just wanna see if they can have gluten in moderation at that point? Dr. Ruscio: Once we have someone improved and so what I look for, to be a little more detail, is someone reaching their peak level of improvement. And usually, their peak level of improvement means that most of their chief complaints have improved markedly and they’re generally happy with their current level of health. So once we’ve hit that apex and someone’s been stable there for one or two months then we have them perform a reintroduction. And we typically don’t start with the gluten-containing grains but oftentimes people are itching to get back on rice and quinoa and corn, maybe chocolate also, just as an example of a common food people wanna bring back into their diet. And once we’ve got some of those foods out of the way then we simply have them perform a gluten reintroduction. And you’re… I mean, I see the same exact thing that you see where ironically for some patients they actually feel better when they start eating gluten because they now feel less encumbered by the stress of trying to have to avoid gluten in everything. You know, every time they go out to eat they’re stressed out about the sauce or how things are cooked in the kitchen. And if we can take that stress off of them sometimes they not only notice they can have gluten but they feel less stressed because they’re no longer that concerned about the gluten and they actually end up feeling like this huge weight has been lifted. And in the same study, they found that of this subset of people in the study who had non-celiac gluten sensitivity, 9% had corresponding thyroid autoimmunity. So, and that was the highest correlated autoimmune condition so it’s definitely something there but at least according to some of the best available literature it’s not 100% of the population has to avoid it. And so I think like we’re both alluding to, let’s get people healthy and then have them reintroduce and find where their boundary has to be. Because I think all clinicians ultimately want patients on the broadest diet possible that’s not doing harm at the same time. Dr. Hedberg: Yeah, you have a lot of people that just don’t feel comfortable socially anymore going out or eating or it’s just difficult for them to go out with friends and have fun. And I think if we can get past that in a lot of people, they can just start feeling a lot better because as you alluded to earlier, you know, social isolation can have a lot of negative consequences on the body. Dr. Ruscio: Oh, absolutely. I was talking with Dr. Bryan Walsh a few months ago on our podcast and he was covering some research that I was previously unaware of but I found shocking which, essentially, he found that feeling isolated is as bad for your health as smoking. And so if your diet is contributing to your isolation it’s definitely not a good thing. Dr. Hedberg: Exactly. So one thing I wanted to get your opinion on is something that I’ve been seeing a lot of recently and it’s patients who they’ve done a gluten-free diet or they’ve done an autoimmune paleo style diet and they get much, much sicker. Their digestive function gets worse, sometimes they lose a lot of muscle mass, just overall, they get so much worse going gluten-free or following one of those types of autoimmune diets. What are your thoughts on why you think that happens to some people? Dr. Ruscio: Yeah, and that’s such a great question because it’s such a defeating experience when you’re making these changes in attempts to get healthy and then you actually end up feeling worse. It’s one of the most defeating situations for a patient or a practitioner who’s guiding a patient through this to be in. And some of these observations are actually what really piqued my curiosity and open my mind in not being so rigid on being gluten-free, being grain-free, being paleo, what have you because I noticed this very thing. And I think twofold mechanisms are kind of underlying this, if you will. One, for some people they end up inadvertently going too low carb for their metabolism and they’re essentially going into this kind of pseudo starvation, pseudo hypocaloric kind of syndrome and that’s, you know, fatigue, weight loss. And then there are other patients who inadvertently end up going… where they inadvertently end up eating high FODMAP, a high FODMAP content in their diet because they may have been eating some grains some quinoa and some rice and some corn before and now they’re off all grains and all beans and they’re really doing lots of vegetables. And it just so happens that many popular vegetables are also high in FODMAPs. And especially in patients with sensitive guts, this diet that’s high in FODMAP foods, and FODMAPs are essentially mainly carbohydrates that are rich in prebiotics that feed bacteria and produces gases, some people have too much bacteria and so that’s a bad maneuver for them or they’re very sensitive to gas pressure and so that’s a bad maneuver for them also. And so this is where modifying someone’s diet a little bit to avoid some of those pitfalls can be super helpful. And ironically for some of these people they have to start eating grains. I would start them with gluten-free grains and a little bit less vegetables so that they can have the right fit for their gut. Dr. Hedberg: Right, yeah. And then we have to do a lot of work so usually just kinda build them back up because, like you said, a lot of times they become hypocaloric. And if they’re even mildly ketogenic, that suppresses their appetite and then they’re even less and that can compound the issue. So actually, speaking of that, have you followed up on any of that, the latest research on ketogenic diets and the gut microflora regarding a reduction and diversity? Did you have any thoughts on those studies? Dr. Ruscio: Yeah. So I mean, there’s a couple things here that are a little bit hairy to unpack which is, one, the way that we define diversity is still being mapped out. And I think it’s important for us all to understand that diversity isn’t a simple measure. It’s not like measuring someone’s blood glucose. That it’s a very standard protocol and the lab ranges are well-defined and essentially universally agreed upon. You’re looking at some very advanced software in computer programming that has to analyze a tremendous amount of data and there’s different techniques that are used for the testing so there’s not an agreement on the techniques that are used, there’s no agreement on the lab values that are used in terms of this is considered high or low and this level of change is considered a significant change. So there’s still a lot there that we don’t know and that’s still being sorted out, so that’s kind of a fundamental point that should undergird this conversation. Then the other thing here that can become problematic is many of these studies are looking at colonic diversity but they’re not really assessing what’s happening in the small intestine. And there does seem to be a relationship there but our testing not only is not yet standardized, it seems to be very regional in where it’s looking. But if we zoom up and we look at this even in more of a practical way, we do see people who go on a diet that may negatively impact diversity, and I’ll come back to the “may” in a second. But at the same time, they get much healthier and this has been shown not only in metabolic studies when patients go on progressively lower carbohydrate diets, they show a more favorable weight loss. Now, again, it’s not something that we wanna do for everyone, not everyone needs to lose weight so, you know, this is a certain patient population that I think would benefit the most. But outside of patients who have high, cholesterol, high blood sugar, high body fat and go low carb and get a lot healthier, there is also a population of people with inflammatory or just general symptoms in the guts and most namely you could label this as irritable bowel syndrome IBS or inflammatory bowel symptoms IBD. And both of these patient groups have benefited quite remarkably from low FODMAP diets which also may have a negative impact on diversity. Yet we see at the same time a reduction in inflammation, a reduction in leaky gut, and a reduction in immune activation in the gut. So it’s easy, I think, to take some of this out of context and say, “Oh, there may be something bad happening to the bacteria yet the host is becoming much healthier.” And so back to those two “mays” really quick. The data seems to be divided on whether or not lower carb or more specifically lower FODMAP diets have a consistent effect in decreasing diversity. There is not consistent data showing that. The data there is fairly split. Now, we do see a reduction in Bifidobacterium populations from the low FODMAP diet but that may not be a bad thing because the host ends up becoming healthier. And then the final point here. It’s important to remember that diversity is not a one-way street from diet to diversity. The health of the host has a measurable impact on diversity in the gut. And this is why we know, for example, people who exercise have healthier microbiotas, sedentary people who then start exercising show a shift from unhealthy to healthier microbiotas. And things like stress and changes in your circadian rhythm have also been showing negatively impact most microbiota. So, you know, the impact of diet on microbiota should always be taken into the greater context of what’s happening to the host. If there’s a net benefit to the host then I would continue with that intervention as long as that intervention is reasonable because you can be misled in some of these finer points if you’re only looking at the diversity score. Dr. Hedberg: Yeah, this term diversity I think is… it’s gonna get clear in the next 10 to 20 years. But we just can’t compare, you know, an Inuit to a Scandinavian, to an African, to an Okinawan, just vastly different diets and very different microbiomes. I mean that’s something we know to be very, very clear at this point. So I think all those points you made are dead on regarding potential loss of diversity or what that even really means. Dr. Hedberg: So why don’t we shift a little bit into… we’ll stay with the gut but talk a little bit more about prebiotics and probiotics. So when I use a probiotic I’m not really thinking like I’m going to be changing the patient’s gut microflora that much. I’m more looking at its effects on how their food is digested, secretory IgA, the gut barrier and all those types of positive effects. And then with prebiotics, this is something that’s kind of going around right now, it’s kind of the talk of everyone, you know, trying to work on the gut but we know that can make a lot of people just much, much worse. So where are you in your latest research on the use of prebiotics and probiotics? Dr. Ruscio: Now, that’s a great question and I agree with everything you just said and there are some important things we can kind of cultivate there hopefully to prevent confusion or mishap on behalf of the listener or the reader. And I think one of the most striking examples of why feeding your gut bacteria, in attempts to increase diversity and then, therefore, become healthier was misguided and erroneous. Is when we look at the data looking at either high prebiotic diets or high doses of prebiotic supplements, yes, there is some benefit shown but there is also quite a bit of detriment shown. And we see, especially for people with pre-existing gut symptoms or gut conditions, high fiber and high prebiotic diets or supplementation more often than not tend to cause negative side effects. There’s a smaller subset of patients who do benefit but it’s very difficult to explain that away, which is we take a bunch of people who have problems in the gut and we give half of those people a low FODMAP diet and there’s like a 90% improvement rate. And we give the other 50% of those people a high prebiotic diet or prebiotic supplement and there is a very high incidence of adverse events. So if feeding the gut bacteria was so important we wouldn’t see that. We would see a high percentage of people respond positively to more prebiotics in the diet. So they do have more time and place and they can be helpful. In my mind, they’re more of an end of phase treatment meaning it’s one of the last things we consider once we’ve got the gut moving in the right direction. Or if someone comes in and they’re in pretty robust health and they only need just a little bit of a tweak then there’s a higher probability that a healthier individual will benefit from either fiber or prebiotics supplementation. With one nuance it does seem that constipation and constipation type IBS tend to have the best results with fiber. So that’s something you maybe consider a little earlier on in your intervention hierarchy is fiber and/or prebiotics in most constipation. And probiotics have shown some pretty impressive benefit in their ability to lower blood sugar but using a dose of 10 to 20 grams per day, which that is gonna cause side effects in a notable number of people and it was one of the chief problems that was noted in some of these studies was the adverse events that were mostly gastrointestinal in nature. So I think prebiotics have a lot of promise theoretically but clinically didn’t really pan out I guess is the summary there. And with probiotics also I totally agree. I think it’s foolish to do a stool test and say, “You’re low in Lactobacillus acidophilus, therefore, we’re going to give you Lactobacillus acidophilus.” When you treat the tests and you don’t treat the patients, that more often than not is going to lead to failure. And I’ve seen a number of those patients who came in from a doctor who is only trying to help but they were treating the lab values and not treating the patients. And there’s no data I know of showing that a stool test is predictive in what probiotics someone will respond to and that’s very, very important note. And yes, you know, if we’re not trying to recolonize what’s missing, so to speak, with probiotics then we can use them for more of a pragmatic and symptom management, I guess you could say, perspective. We know, for example, that probiotics can fight SIBO, have anti-fungal, anti-parasitic, anti-bacterial and anti-protozoal effects. So for people with dysbiosis, probiotics work great. They tend to lead to reduction of leaky gut, production of immune activation, and have a general positive but transient effect because most probiotics don’t colonize you. And I think one thing that’s important to understand with probiotics, there’s probably hundreds of probiotic products out there but we can organize almost any product into one of three categories. Category one would be a probiotic that has a blend of lactobacillus and Bifidobacterium strains. So when you look in the label you’ll see prominently a lactobacillus or a Bifidobacterium type species listed on the ingredient list. Category two would be Saccharomyces Boulardii and this is actually technically a healthy fungus. And then category three are soil-based or spore-forming probiotics and these typically have the designation of bacillus. So it maybe Bacillus Coagulans or Bacillus Clausii or Bacillus licheniformis. There’s a couple strains that fall outside of that category system but most probiotics will fall into that category system. And why this can be helpful is because if someone is floundering and saying, “Oh, sometimes I feel like probiotics flare me but other times I feel like they don’t and I keep hearing how good they are but I’m not sure. I seem to have this dicey relationship.” What may be happening for that person is every time they have a category three probiotic they respond well but they’re not taking the time to look on the label and they just keep going from product name to product name, right, Bifidobacterium five, gut killer four, you know, Probio 7. Dr. Hedberg: Right, exactly. So those are all excellent points about prebiotic and probiotics. I don’t really have too much to add there so why do we close with just a question on SIBO? So is there anything that’s come out in the literature in 2018 that you’ve read that has actually changed the way you would treat a patient with SIBO? Anything new for you? Dr. Ruscio: There’s a few things that I think have helped guide decision-making. There has been one meta-analysis, and it was either published late 2017 or early 2018. And a meta-analysis is essentially a summary of the available clinical trials that found that probiotics are effective at decontaminating or cleaning out small intestinal bacterial overgrowth in the intestines. So I think that was a powerful data point reinforcing that we don’t have to necessarily use antibiotics or even herbal antimicrobials to eradicate SIBO. You know, a well formulated and well-used probiotic maybe enough to aid in that. And that runs counter to some of what the SIBO gurus and researchers have commented on and I think there’s a little bit of an off the mark opinion in some of the SIBO circles. Some of the opinion there seems to be more guru-driven than it is evidence-driven. So you have some arguably or you have some unquestionably brilliant researchers but there may be a bit of a bias towards pharmaceuticals. And so they’re not really commenting much on the fact that probiotics are showing some strong ability to fight SIBO and so I think it’s important that we keep that in mind. And then there’s also been a position paper issued by the Rome Foundation, and the Rome Foundation is arguably the leading body in gastroenterology in the world. And they took a more conservative stance on SIBO breath testing than some people may be accustomed to. And I recently wrote a review article that kind of compared and contrasted the two different philosophies on SIBO breath testing. The North American Consensus paper recommended more liberal use of breath testing and the Rome consensus recommended a little bit more of a conservative use of breath testing. And I actually lean a little bit more on the conservative direction because I found that retesting someone for SIBO every time we’re going to treat them doesn’t really change the treatment much and all it does is waste some time and money. And time and money are valuable, rights, to people and I try not to squander those so I, now, I kind of advocate you can… you don’t have to but you can test at baseline to get an idea of what’s going on in the gut and then treat empirically, meaning use the patient’s response to guide you from there, and then potentially consider confirmatory testing at a later date. Or if you’re confused in terms of why there’s a lack of response after several rounds of treatments, you can do some confirmatory tests to help you guide you from there. But that, you know, those two things I think, you know, are two of the more impactful things that kinda come to mind. Dr. Hedberg: Right, yeah. I’m glad you said that because I’m definitely on the conservative side and I rarely, rarely retests a SIBO breath test. I mean, if someone’s digestion is working really well and they’re feeling much better I’m not going to put them through another test, you know, just to see if it’s gone. I just don’t really see the value in that so I’m glad you said that. Well, I know you’ve written a great book so why don’t you tell us about your book on the gut and also just where you’d like people to find you online. Dr. Ruscio: Sure. Well, thank you. 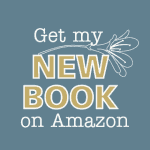 The book is entitled “Healthy Gut, Healthy You” and it’s available on Amazon. You can also get it digitally as a Kindle and Nook. And this book was really a labor of love. 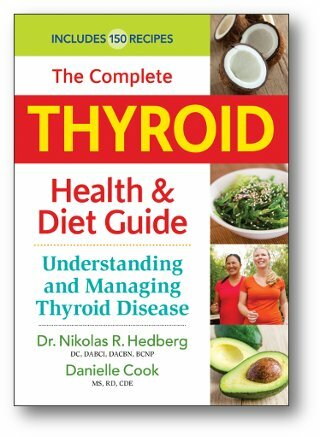 I took three years writing this book and there’s just under 1,000 medical references supporting the approach in the book. And I wanted to write the complete guide that someone would need to fix their gut health. And I really tried to make myself obsolete by writing this book and give someone a breakdown from, you know, if they saw me in the clinic from day one all the way through to the end of their care with me. What do we do first? How do we determine the right diet? If diet alone does not work what do we do next? And after some of those initial level interventions like probiotics and enzymes, if someone’s not completely responded what might we do next? And so the protocol has a self-assessment at the end of every step and it really helps walk people through creating their own treatment plan in a step-by-step fashion that will allow someone with mild symptoms, like mild constipation all the way through someone with recalcitrance SIBO or IBS, be able to walk away from the book with a positive experience. So I’m very happy about that book and I’m glad to have it out there. Again, that’s available on Amazon, the name is “Healthy Gut, Healthy You.” If people want to learn more about the book, they could go to healthyguthealthyyoubook.com or my website which is DrRuscio.com, D-R-R-U-S-C-I-O.com. Dr. Hedberg: Great. Well, it’s an excellent book. I have read it so I highly recommend, everyone, read it. If they wanna learn how to health their gut and have a really deep understanding of gut health and why their gut may be out of balance and all the things that you can do to really fix it. So I will have everything we talked about on drhedberg.com. So to all of our listeners go to drhedberg.com and I will link to everything that we talked about today as well as some of the research that we talked about. And that’ll all be up quite soon. So, Dr. Ruscio, thanks for coming on. I really appreciate it. Dr. Ruscio: It’s been a pleasure. Thank you. Dr. Hedberg: All right. Well, take care, everyone. This is Dr. Hedberg, and I will talk to you next time. Take care. "I’m healthy and happy and I have my life back!" What is the Best SIBO Test?